Mason Quintero, at left, prays at the Western Wall. FEBRUARY 8, 2018 – Mason Quintero has already been involved in more Jewish programming than many people experience in a lifetime. A senior at Marblehead High School, he now serves as co-president of New England Region BBYO. Mason also went on the Y2I Israel trip with the Lappin Foundation, and has attended AIPAC’s Schustermann High School Summit. He lives in Marblehead with his parents Faith and Steve, and sister Samara. You’re 17, and a senior at Marblehead High School. Could you tell us about what organizations and clubs you’ve been involved in at the school? The school organization that has probably meant the most to me during high school has been the Math Team. I’ve always been something of a math nerd, and I’ve been involved in Math Team since eighth grade. We practice every day on Tuesdays and have meets once a month on Thursdays, and it’s honestly a lot of fun. This year I’m serving as co-captain which has been a lot of fun. I’ve also been a Peer Mentor for the past two years, someone who helps out an incoming freshmen or two and takes them on a tour of the school over the summer so they know the ropes by the time school starts. I’ve been involved in a number of other clubs such as Junior Statesmen of America, National Math Honors Society, and High School Democrats. You created a clothing brand. What kind of clothes do you sell, where?  … and why did you start the brand? We have a wide range of clothes that we sell. We have pocket-tees, sweatshirts, and hats among other items. We sell them all on our website indifferenceapparel.com. It was my friend Chaz’s idea, and he reached out to the three other co-founders with the idea and we all hopped on board. It was very difficult getting the whole thing started because we had to travel to find vendors, but couldn’t drive ourselves places because we were freshmen. However, we overcame that obstacle and now, three releases and a profit later, we’re here. You’re a teenager but you’re already quite involved in the Jewish community. What organizations have you been active in? I’ve been most heavily involved in BBYO. Last year I served as North Shore chapter president and this year I’m serving as New England Region’s co-president. I’ve also been involved with the Lappin Foundation, which started with going on their Y2I Israel trip, which was an amazing experience. I’m also an Israel Advocacy Fellow which entails attending five monthly classes to learn about Israel and how to best defend it against detractors. Lappin also sent me to AIPAC’s Schustermann High School Summit, which was a really cool experience. Speaking of AIPAC, I try to volunteer with them as much as possible. I’ve gone to a few of their events and love hearing whoever they have speaking. I’m also a madrich at my synagogue: Temple Emanu-El in Marblehead, where I work to help teach kids Hebrew on Sundays. 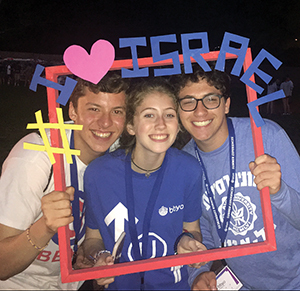 Mason Quintero, Sydney White, and Ori Tsameret at Perlman Summer camp. You were president of the North Shore BBYO chapter in your junior year. And this year you’re co-president of the New England Region. What programs are you working on this year? On the Regional level there are four big engagement events, the next one is March 3rd and it’s a Mardi Gras themed semi-formal dance. We also have three weekend-long conventions, the next one is the 27-29th of April. These events are for 8-12th graders and people should definitely reach out if they’re interested. My co-president and I also work to ensure that all of the regional board is doing their jobs and all of the chapters are running like they are supposed to. I’m also involved in a few other different ways. For one, I’m going to Chile to represent North America BBYO at a convention there. Second, I’m Chapter Showcase Captain at International Convention in Orlando. That means I’m helping plan a program for the roughly 3,500 teens that will be there. Lastly, I’m coordinating CLTC, a 12 day summer camp run by BBYO. CLTC is a great way to learn leadership skills and meet people from all over the world; there are seven different sessions and the one I’m coordinating is July 3-15th. If you’re a high schooler still looking for summer plans, I’d highly recommend looking into it. Why are you so passionate about Judaism? It stems from my parents, especially my Mom, who have been involved in the Jewish Community for a long time. She always insisted on me going to Hebrew School even after my Bar Mitzvah, and I’m so glad that she did. One of my more recent reasons is the sense of community that I feel with other Jews. The feeling I get at BBYO events is just really cool. I also love services at BBYO, there is just an amazing sense of community about them but they are also really fun. Have you been to Israel, and if so, could you describe your experience? Yes, I went once with the Lappin Foundation’s Y2I trip and it was amazing. I went with a lot of people I already knew and a lot I didn’t which was a great opportunity to meet new people in our shared homeland. It was also really cool having a program where we spent a week with some Israeli teenagers. I became friends with a lot of them and that was awesome. My personal favorite memory is hiking Mount Masada, it was just so beautiful and we had to get up early so it still felt a little bit like a dream. I really want to go back and I plan on studying abroad there during college. Grammy Sandy Shapiro, Mason Quintero, Faith Quintero, Steve Quintero, Samara Quintero, and foreign exchange student Virginia. Who are the biggest role models in your life? I know it’s cliche but I have to say my parents. They’re both such amazing, successful, kind people. And while I can complain about them, I love them a lot. Aside from my parents I’d have to say Yitzhak Rabin. He worked so hard to create peace and made a lot of progress. He did that in spite of the fact that he knew he was in danger and unfortunately that cost him. But he put his life on the line for what he believed in and that’s amazing to me. Why do you feel it is so important for Jewish teens to be active in Jewish organizations? Well, the post- Bar/ Bat Mitzvah retention rate is unbelievably low. So many kids just quit everything Jewish after that point and maybe go to high holiday services, but that’s a big maybe. Jewish organizations, and especially Jewish youth organizations are a fun way to keep teens involved in Jewish life. Jewish organizations also equip teens to go defend Israel against detractors before they go to college, where organizations like BDS have a huge grasp. Where do you hope to go to college? I’m not sure exactly where I want to go. So far I got into the University of Michigan, which I’m really excited about, but I’m still waiting to hear back from more schools in March. What I do know is that I have three major interests: physics, economics, and political science. I also know that I want to go to a school with a thriving Jewish community. What are your dreams down the line, and how will you stay connected with Judaism? I already talked a little bit about how I want to study abroad in Israel in college and I definitely want to do that. It is also a dream of mine to learn Hebrew and I’ve considered moving to Israel for a few years after college to make that happen, so we’ll see if that happens. I really don’t know what I want to do for a career. I’ve thought about a lot of different things, from science to Wall Street, and the answer really changes on the day. I’m going to work hard to stay connected with Judaism, I’ve only applied to schools with strong Jewish communities. And no matter what my career ends up being I want to remain involved with organizations in the Jewish Community. Mazel tov Mason! We are all so proud of you and look forward to watching you flourish! Thank you so much Ava! That’s so sweet of you to say, and it means a lot! Mazal tov on this AND for the big news coming out of IC this week!! 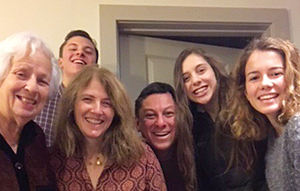 We’re so excited for this next chapter of your Jewish journey, and look forward to continuing our work together this spring at JSERVE and beyond! Thank you so much for the kind words Adam and Brett! I’m very excited too!